Buy 3 Block Sleeves & Get 1 Free! Expand your CEREC system use with innovative material for a wide range of clinical indications – and save! 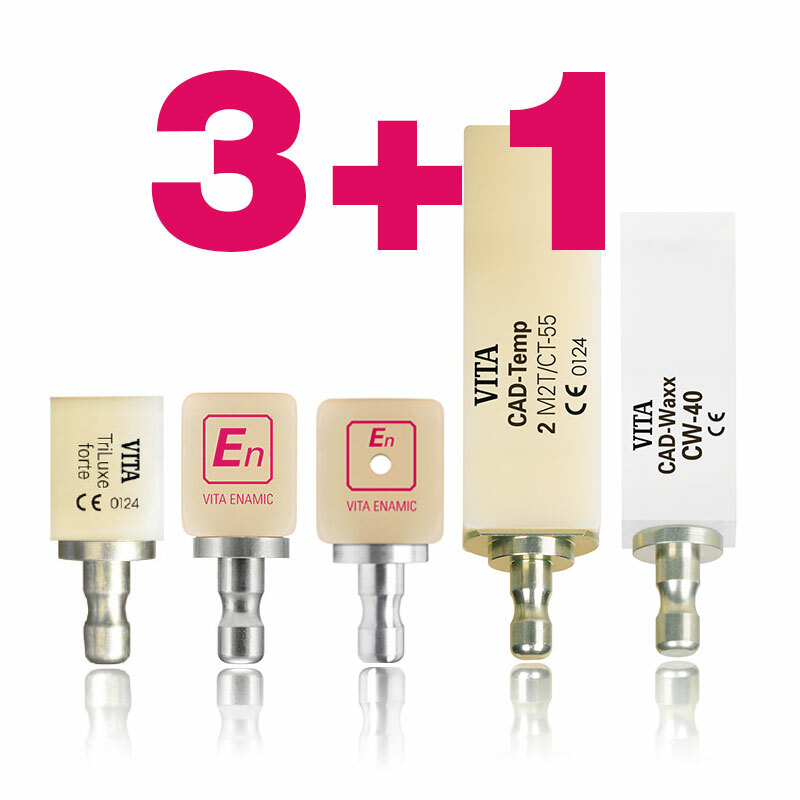 Now for a limited time, buy three sleeves of VITA CAD/CAM blocks and get ONE additional sleeve FREE. Choose from high-strength zirconia to bioesthetic anteriors to long-lasting implant restorations and more! Complete to qualify for 3+1 offer! *Offer good for same CAD/CAM material only. Valid in the United States and Canada only for purchases made between October 24 through December 31, 2017. Promo Code: CEREC1017. Email invoice to promo@vitanorthamerica.com. Invoice must be submitted no later than January 31, 2018. Proof of purchase on one invoice is required. Free goods will be shipped directly from VITA North America. Offers may not be combined with any other promotion or discounts. VITA North America reserves the right to discontinue or change offers at any time without notice. No cash value. © 2017 VITA North America. VITA ENAMIC, VITABLOCS, VITA CAD-Temp and VITA YZ are registered trademarks of VITA Zahnfabrik.